MAGNOLIA Market: 22 Best Tips to Know Before You Go! MAGNOLIA Market at the Silos: 22 Best Tips to Know Before You Go! Finally! 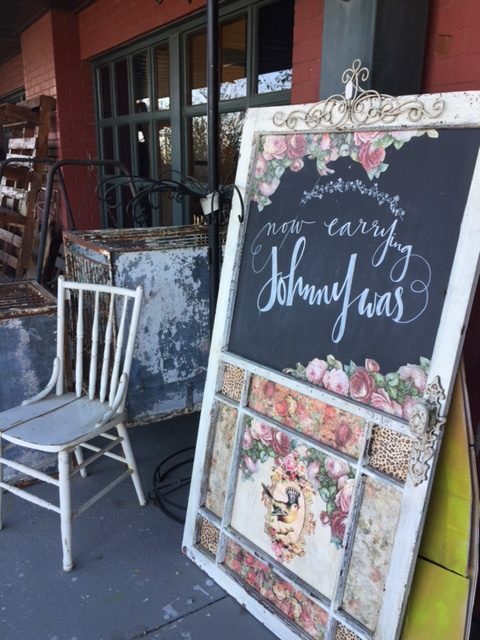 I finally visited Magnolia Market at the Silos of HGTV FIXER UPPER fame in Waco, Texas and am so excited to share these 22 smart tips to know before you go to Chip and JoJo Land! Magnolia Market was not my only first…this was also my first visit to Waco, and first trip to Texas! BTW. 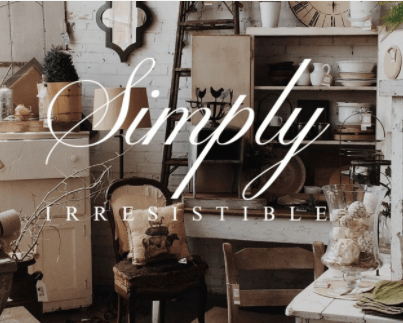 This is not a sponsored post – just my personal reflections as a Fixer Upper admirer and lover of modern farmhouse style. 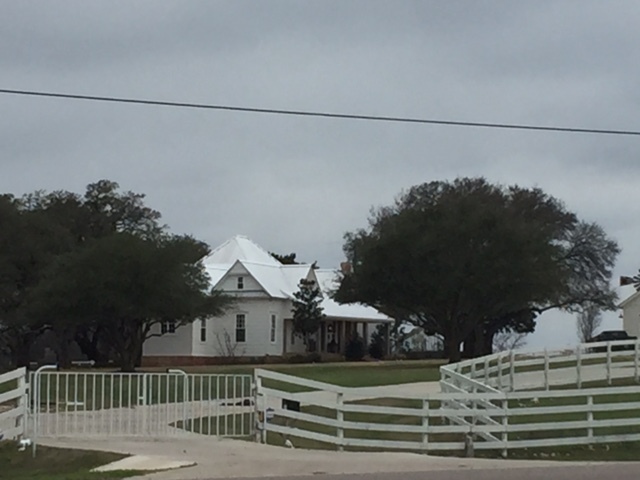 It’s one thing to watch Fixer Upper episodes where all of the renovation and design action unfolds in and around Waco, and it’s quite another to see the rusty Silos and this farmhouse happy empire created by Chip and Joanna Gaines up close and personal. 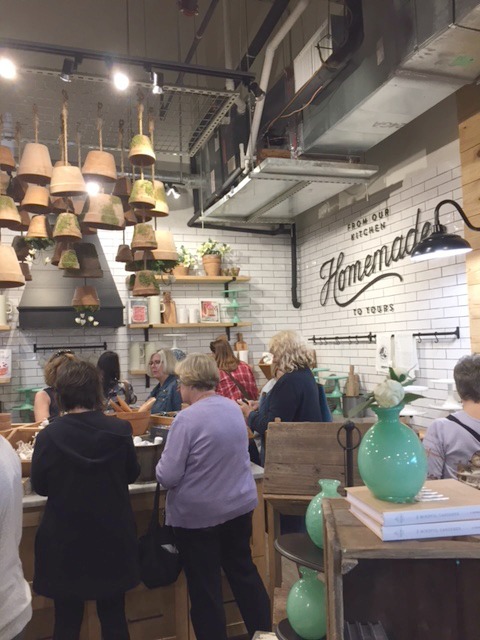 Fixer Upper Fanatics take their Magnolia very very seriously so there were crowds on the Friday and Saturday we visited Magnolia Market, and smiles all around. 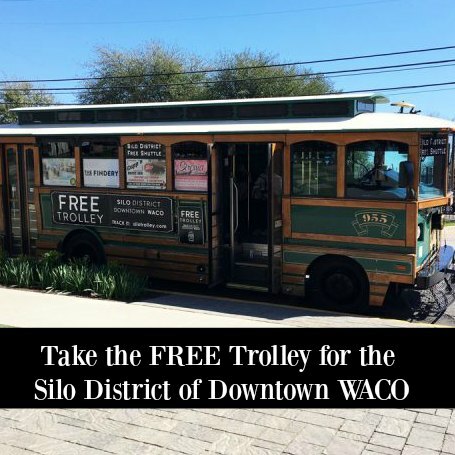 I hope you’ll find these tips helpful for a visit to Magnolia Market at the Silos and PIN THIS POST to save for your future travel plans and for your friends who may be planning a trip to Waco! PIN ME! 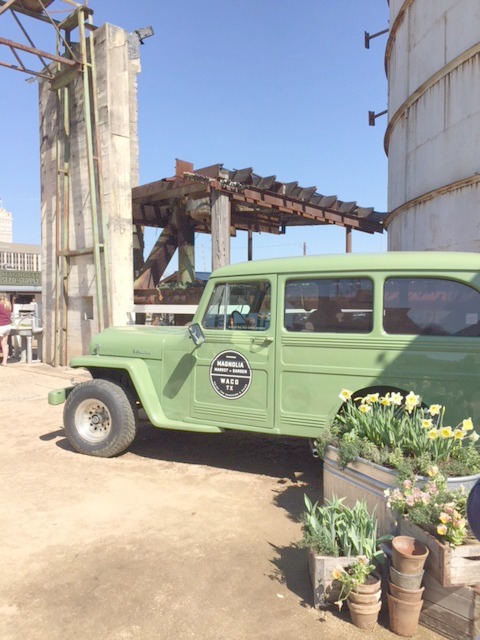 Magnolia Market at the Silos: Things to know before you Go! 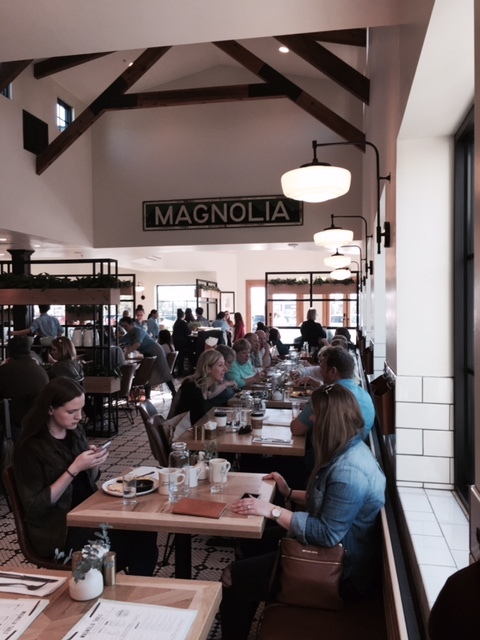 MAGNOLIA Market: 22 Tips to Know Before You Go! 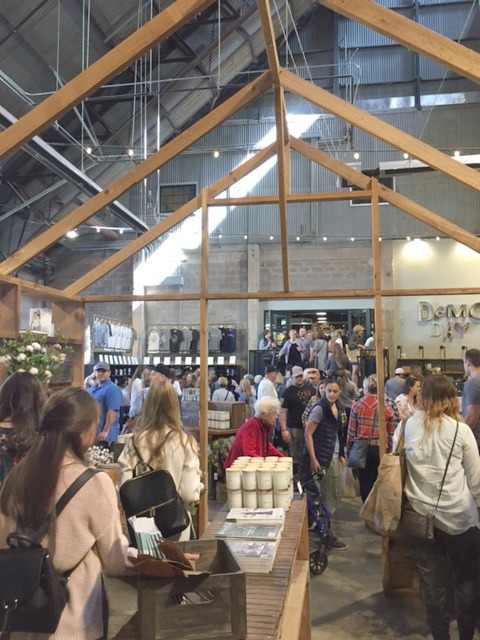 MAGNOLIA Market at the Silos: Best Tips to Know Before You Go! 1. Visit on a weekday at a time close to 9 am or 6 pm. Magnolia Market – 601 Webster Ave. 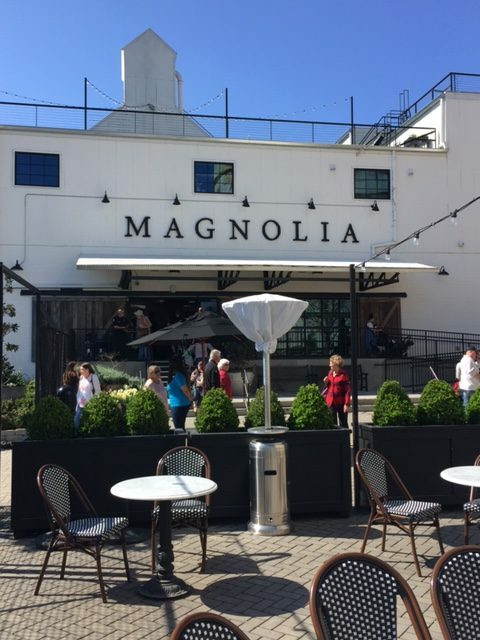 While there is never a bad time to visit and shop at Magnolia Market and the Silos in Waco, it is a popular destination for tourists to Waco on the weekend, so to avoid long lines, visit on a weekday close to when the market opens or closes. Also, you can park for FREE..Magnolia’s Free Parking lot has handicap accessibility and is connected to the Silos grounds. The entrance is on 8th street by CrossFit, Southwest of the Silos. Handicap parking is also marked along 6th street in front of the store. MAGNOLIA Market: Best Tips to Know Before You Go! 2. The Silos are smack dab in the middle of downtown Waco. 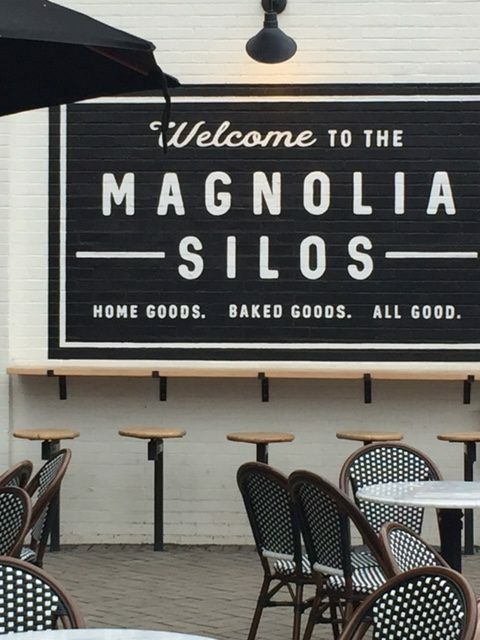 If you have seen footage of the Silos on HGTV’s Fixer Upper, you might think Magnolia Market and all the action is located in a rural area considering, um, there are real silos! But actually, the shop, garden, bakery, and all of it is in town, with Salvation Army shelters for men and women across the street, a private school right next door, and a metropolitan city with tall buildings around the corner. 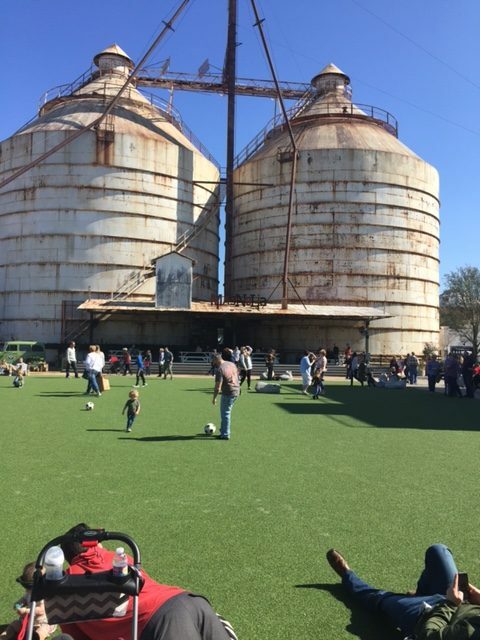 Turf area for goofing off Chip style…MAGNOLIA Market at the Silos: Best Tips to Know Before You Go! 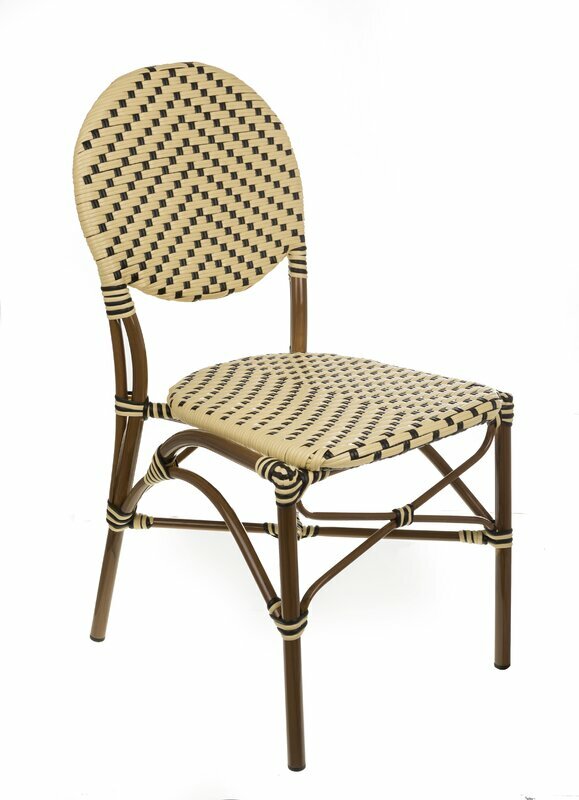 Very French inspired! MAGNOLIA Market: Best Tips to Know Before You Go! 3. Get to Silos Baking Co. when it opens at 7:30 a.m. The line to enter Silos Baking Co. bakery is always CRAZY long so you’re best bet is to get there when it opens at 7:30 a.m. (before the shop opens at 9 a.m.). Inside the bakery, you’ll be able to buy fan favorites like: “The Silos Cookie”, “The Prize Pig” bacon and cheddar biscuit, and the “Nuts & Bolts” cupcake. We were at the Silos on a Friday and Saturday, and there was never a moment where the line to enter the little bakery didn’t trail down the street…make sure you have water, a snack (Chuck’s popcorn, perhaps? ), and pleasant company as you wait to buy cupcakes! 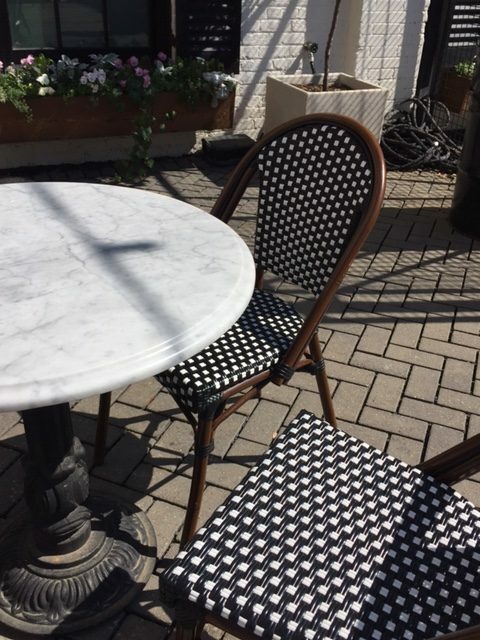 Patio area of Silos Baking Co. – MAGNOLIA Market at the Silos: Best Tips to Know Before You Go! 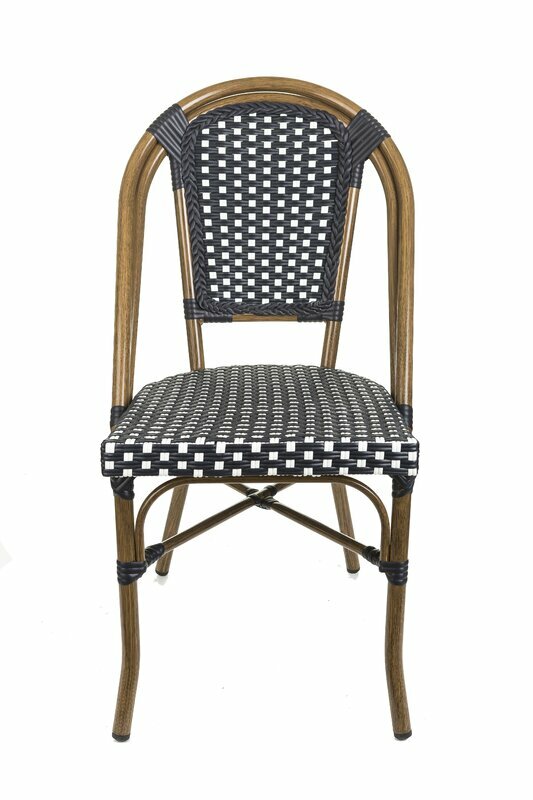 Let’s talk about these Parisian style bistro chairs and industrial French style tables Joanna chose for the bakery. 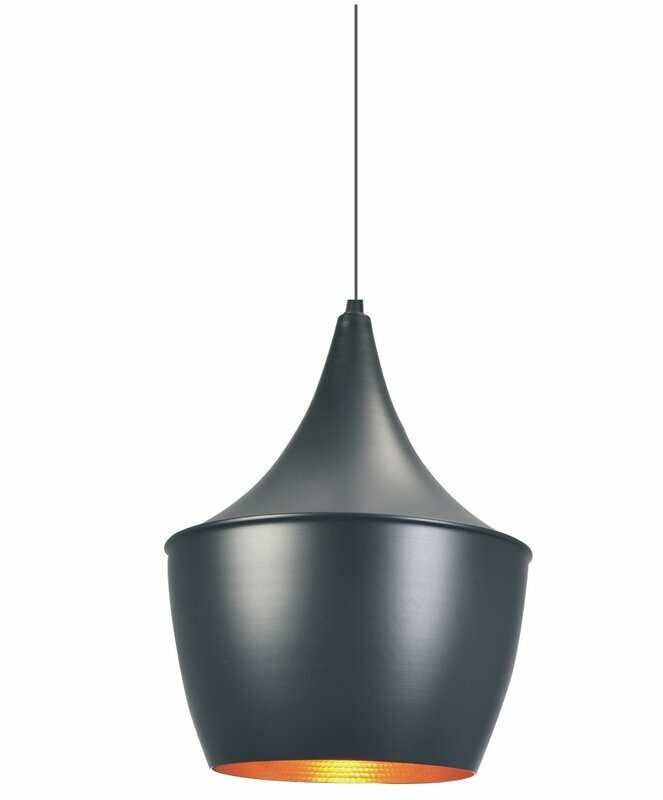 Want something very similar? 4. Take the free trolley to downtown shops Joanna frequents. Visit the Garden area! 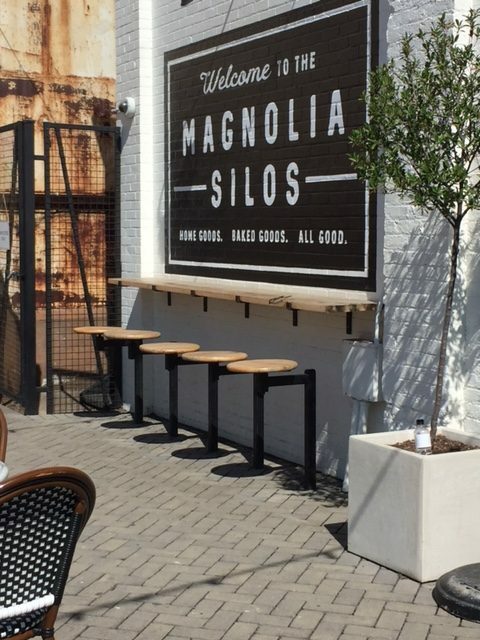 MAGNOLIA Market at the Silos: Best Tips to Know Before You Go! 5. 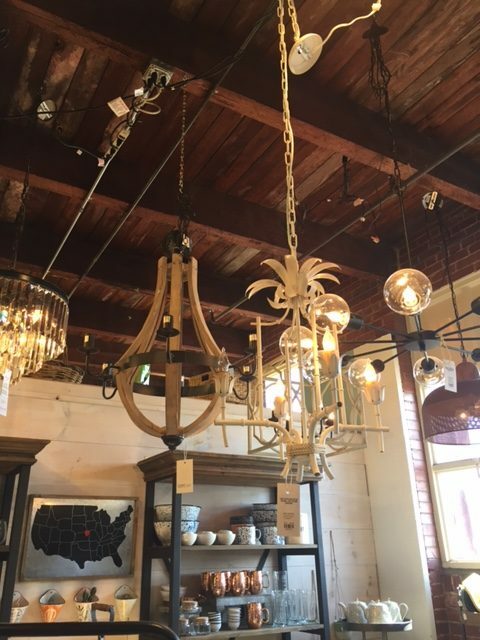 Visit the Magnolia Seed & Supply Shop, and look up at the lanterns! Joanna’s vision was that the garden would be a space families could explore together and learn the lessons of the garden. 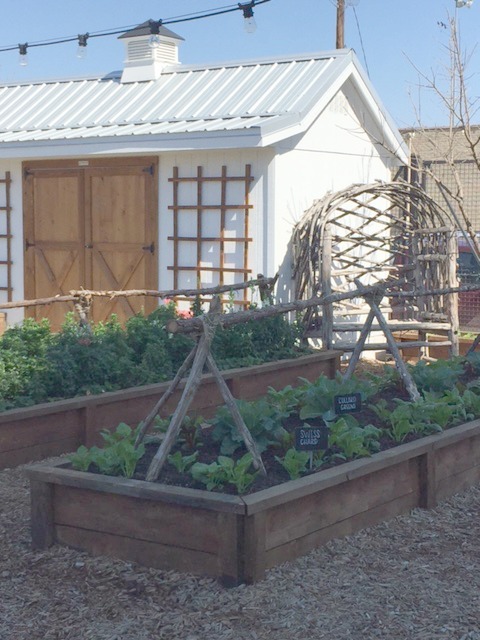 There’s a wooden teepee to adventure under, beds filled with seasonal produce and flowers, and a garden shop, Magnolia Seed and Supply. This little shop sells gardening tools, flower-growing kits for the kiddos, fairy garden supplies, and unique vessels to plant in. 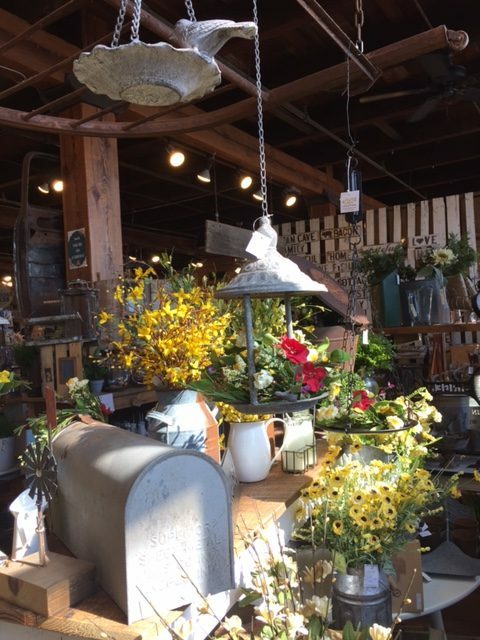 Inside the Magnolia Seed & Supply shop…MAGNOLIA Market: Best Tips to Know Before You Go! 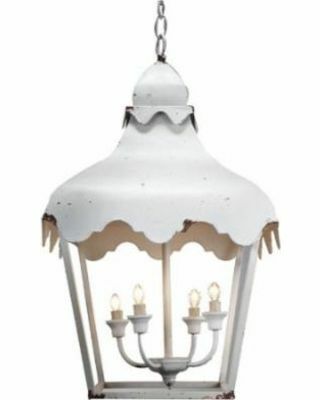 I loved the white farmhouse style lantern pendant lights hanging in the garden shop, and I found them for us to buy! 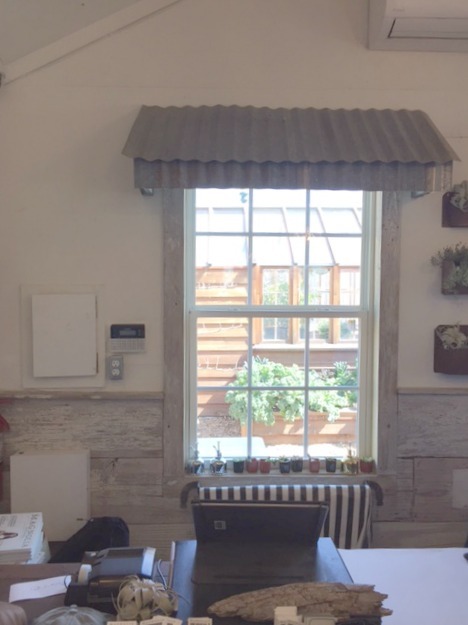 Another detail you’ll see repeated in Joanna’s designs…this corrugated metal awning on an interior window for farmhouse style with a charming industrial twist. 6. 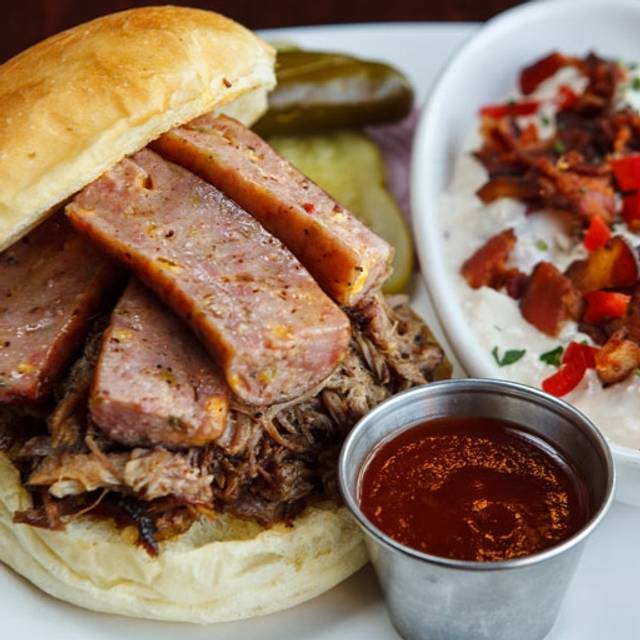 If your journey to Waco begins near Plano/Dallas, try Kenny’s Smoke House. We loved the ribs, brisket, and pulled pork, and of all the BBQ we enjoyed while in Texas (and we ate at a different joint EVERY single day! ), Kenny’s Smoke House had our favorite delicious BBQ sauce! via Kenny’s Smoke House – MAGNOLIA Market: Best Tips to Know Before You Go! 7. Bring a soccer ball or beach ball to play on the turf. 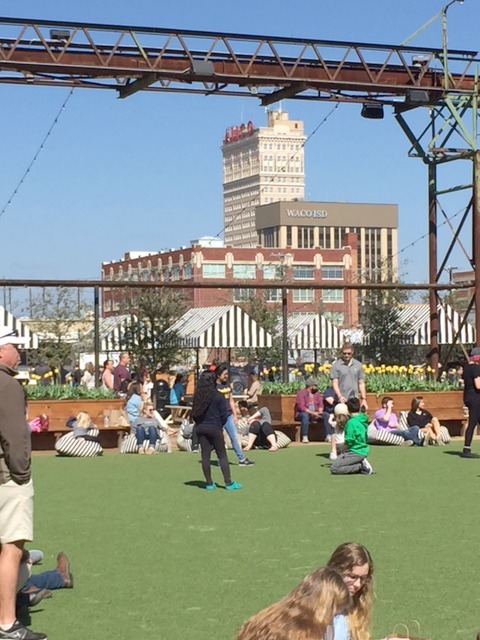 If the kids or family will be joining you at Magnolia Market, there is a great outdoor area with turf to play soccer and run around. 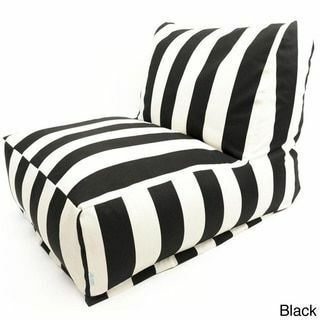 It’s also the ideal place to lounge on black and white stripe beanbag lounge chairs. 8. 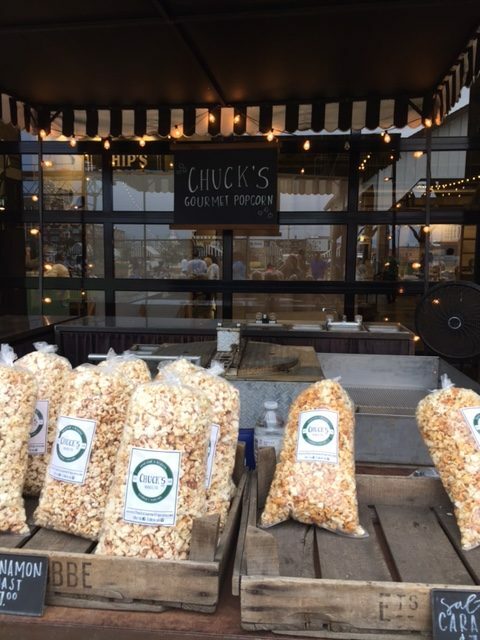 Do not pass up CHUCK’S Salted Caramel gourmet popcorn! I don’t eat popcorn often. Sort of. Except for Garrett’s in Chicago and CHUCK’S GOURMET POPCORN just outside Magnolia Market! It’s beyond. Trust. Must try gourmet popcorn! MAGNOLIA Market: Best Tips to Know Before You Go! 9. 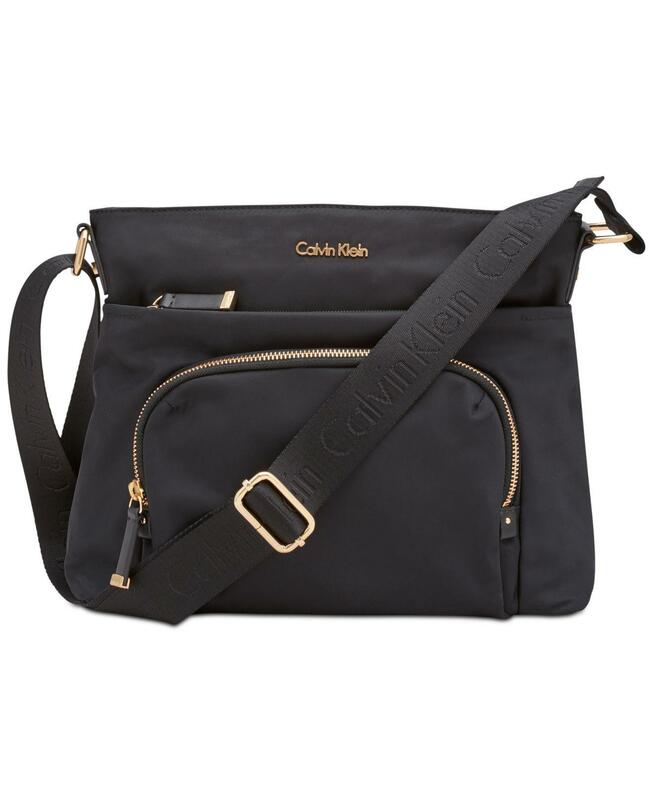 Wear a small backpack or crossbody bag for shopping ease. With the crowds inside the shop and so very many pretty things to touch and hold, you will want to have both hands at the ready! 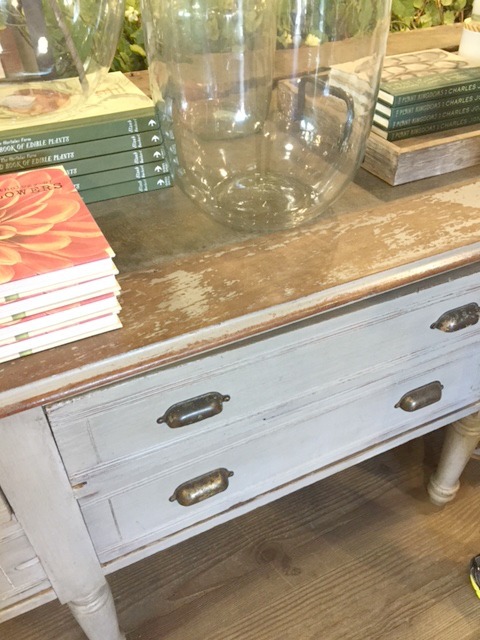 all sorts of pretty modern farmhouse home decor styled beautifully. 10. Free shipping on items doesn’t include packaging charges. Before you checkout with your treasures in hand, keep in mind even if you qualify for free shipping, there may still be packaging charges which can add up. 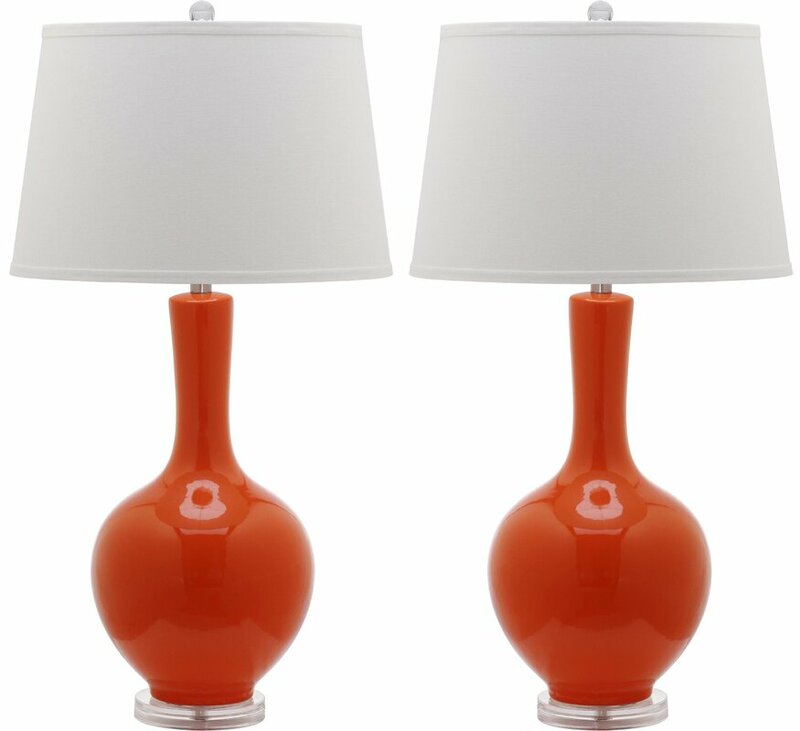 Explore Magnolia’s online shop to become familiar with is stocked online so you can shop smarter. 11. Eat an early or late lunch to avoid long lines at food trucks. 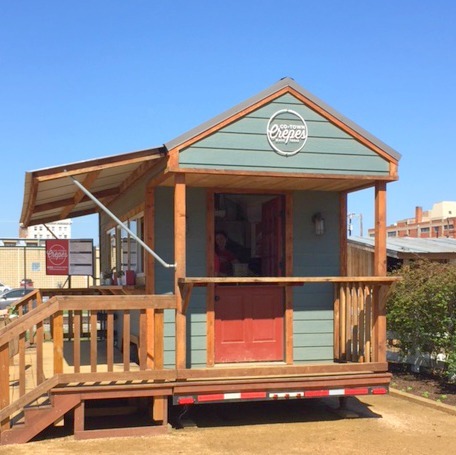 There are some tasty options offered by the food trucks at Magnolia (order the macaroni and cheese from CHEDDAR BOX and the cheesy grits from GUESS FAMILY BBQ) so definitely sample it…how cute is CO-TOWN CREPES’ tiny house? Co-Town Crepes at Magnolia Market – MAGNOLIA Market: Best Tips to Know Before You Go! If you need super cute heels or wedges for photo opps, consider stashing them in your backpack to slip on for pics and wear comfy shoes while you shop. I saw more dangerously uncomfortable platform ankle boots on shoppers than I can say! SIMPLY IRRESISTIBLE: 1018 Austin Ave.
My pal, Amy of Waco’s NuGenesis Med Spa thought I would love this Austin Avenue shop, and she was so right! The selection of home decor and lovely apparel in this boutique had me swooning and inspired by the gorgeous styling. A collection of shops (30,000 square feet!) with everything you didn’t know you needed to add a little zest to your life! Collegiate, kids, baby, home decor, men’s accessories, jewelry, souvenirs, bath & body, candles, clothing and more than 60 boutiques under one roof. 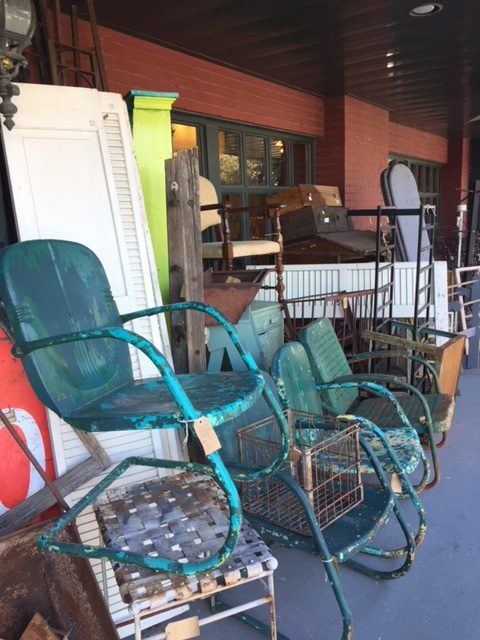 Located in downtown Waco, TX for the last 20 years, this indoor market has a ton of treasures to peruse so be prepared since it’s huge! 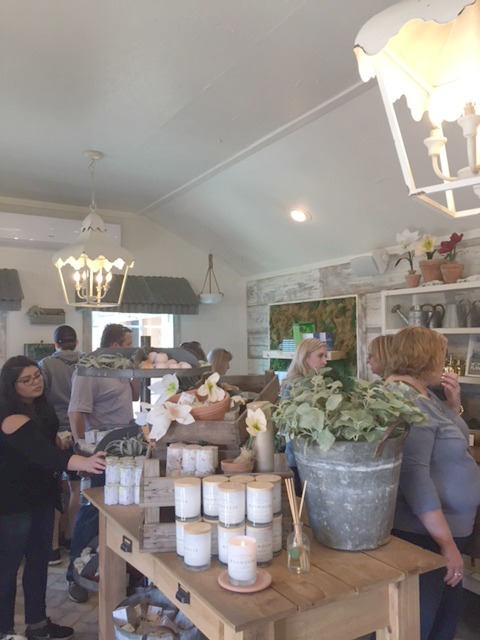 Spice Village…MAGNOLIA Market: Best Tips to Know Before You Go! 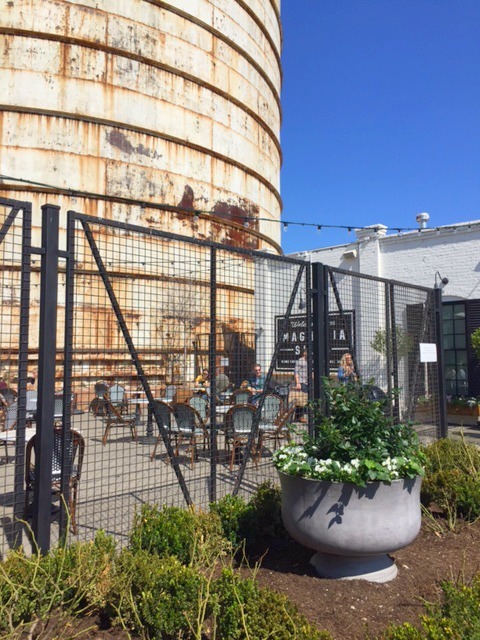 Spice Village – MAGNOLIA Market at the Silos: Best Tips to Know Before You Go! 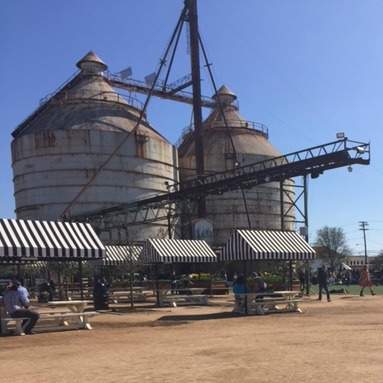 Spice Village…MAGNOLIA Market at the Silos: Best Tips to Know Before You Go! 14. Find the exact t-shirts Joanna wears on Fixer Upper. 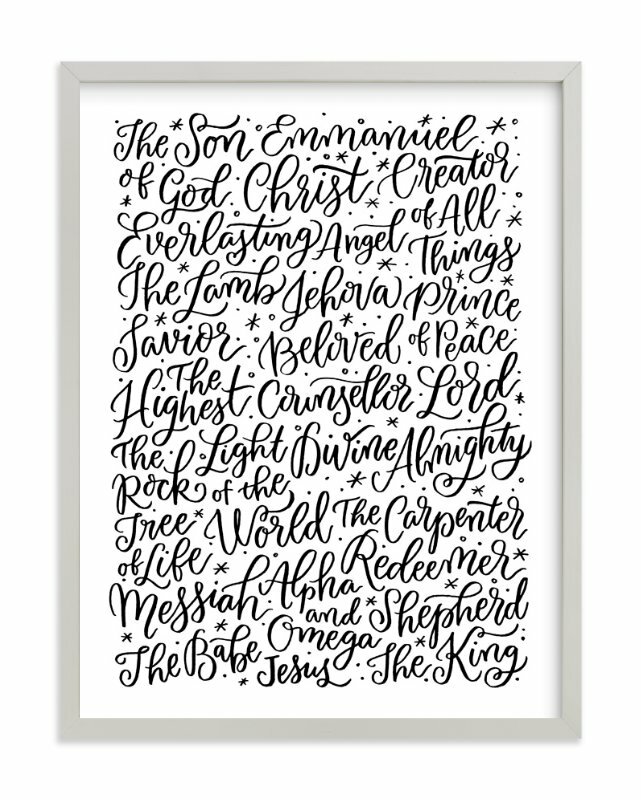 so expect to see Christian messages everywhere! 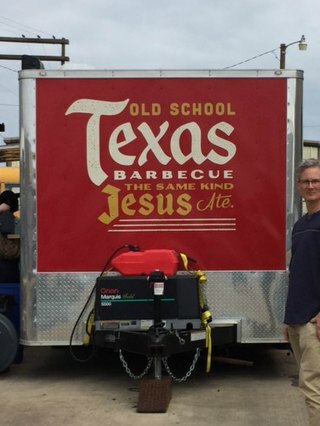 Old School Texas Barbecue…The Same Kind Jesus Ate. 16. Eat at Rudy’s and Vitek’s for BBQ in Waco. We loved the turkey at Rudy’s (2510 Circle Rd.) and the pulled pork at Vitek’s (1600 Speight Ave.) Like I said earlier, while in Texas, we sampled BBQ every day at least once! 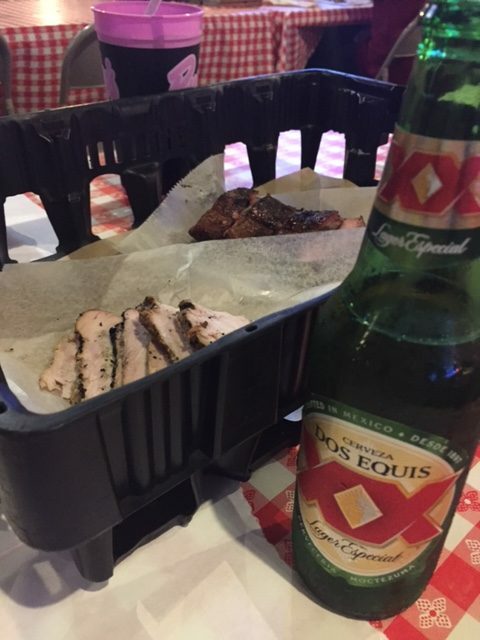 Rudy’s BBQ…MAGNOLIA Market at the Silos: Best Tips to Know Before You Go! 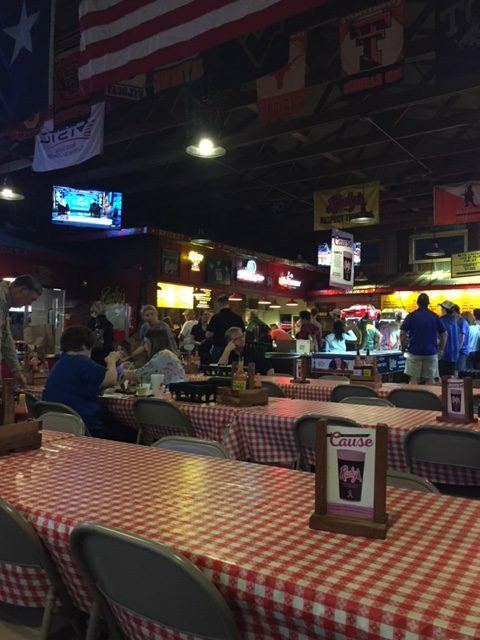 Rudy’s BBQ…MAGNOLIA Market: Best Tips to Know Before You Go! 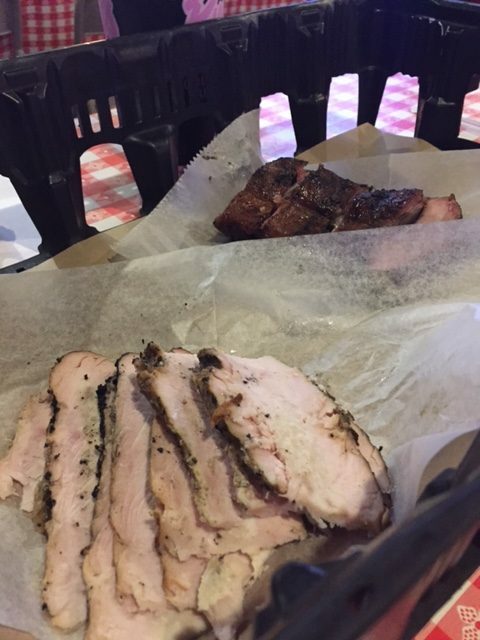 Rudy’s BBQ turkey & ribs…MAGNOLIA Market: Best Tips to Know Before You Go! 17. Live dangerously & visit the port-o-potty to avoid long lines. The lines to the restrooms can be ridiculously long so do be brave like your girlfriend here and visit the clean port-o-potty. 18. Visit Magnolia Table restaurant (which is not at the Silos). 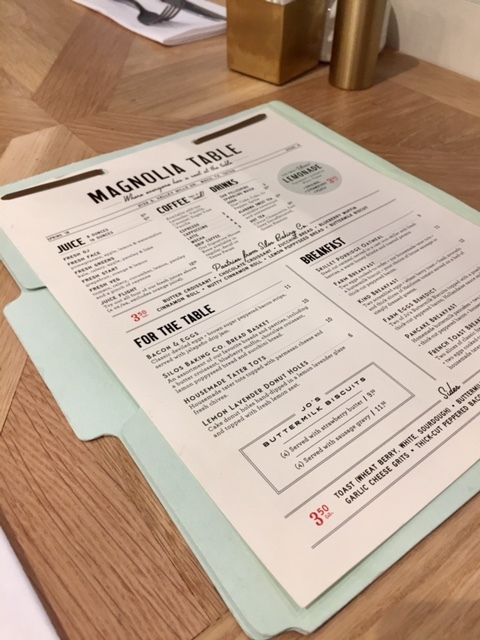 BONUS TIP for MAGNOLIA TABLE: I’m a scrambled eggs kinda gal, and you can customize your scrambled eggs to order here…from runny to medium to well. Am I just clueless and not getting out enough? This was news to me. 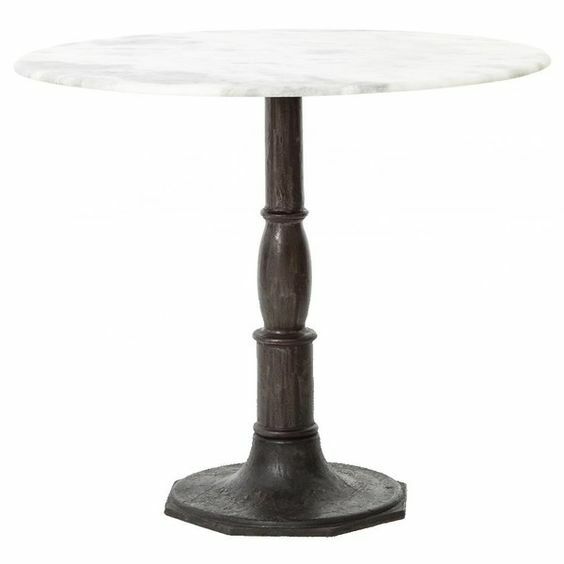 Magnolia Table…MAGNOLIA Market: Best Tips to Know Before You Go! 19. Spend the night at Hotel Indigo…a 3 block walk from the Silos. Have you stayed at an Indigo Hotel? 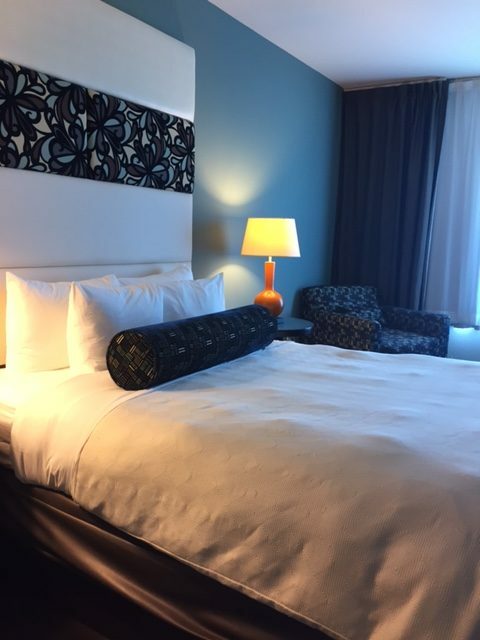 Here’s what I loved about HOTEL INDIGO WACO-BAYLOR (make a reservation here): the proximity to the Silos, the comfy beds, the Aveda products, the luxurious bathroom with walk-in shower, and the room’s design. Keep in mind since the hotel is near the downtown, you will be hearing a noisy freight train nearby…bring earplugs if you’re a light sleeper since I heard it around 10 pm., 11 pm, and midnightish. Get the full scoop about my stay right here. 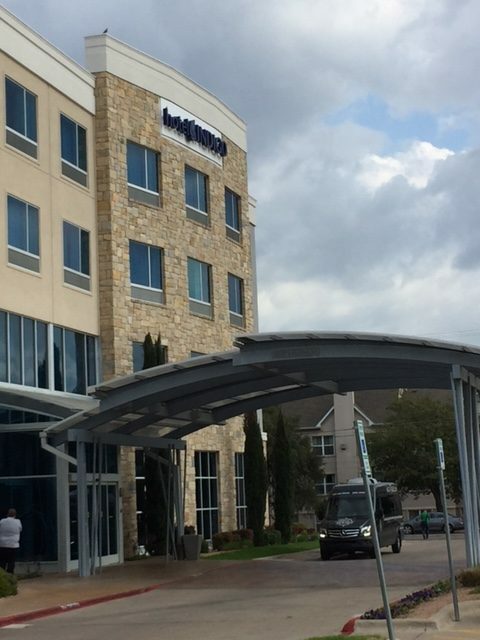 Hotel Indigo Waco-Baylor…MAGNOLIA Market: Best Tips to Know Before You Go! 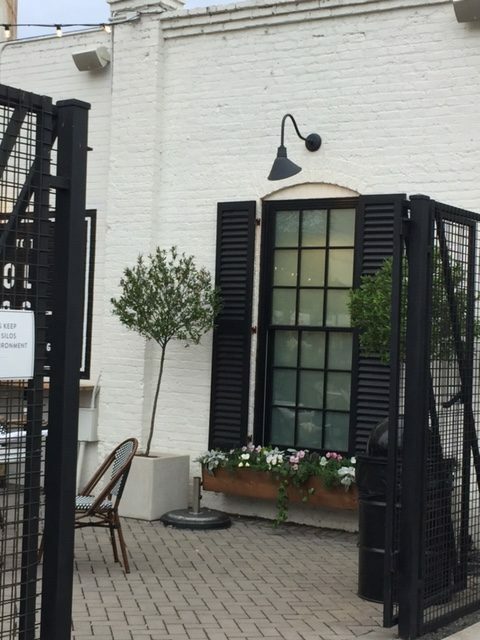 Hotel Indigo exterior…MAGNOLIA Market at the Silos: Best Tips to Know Before You Go! 20. While in Waco, visit NuGenesis Medical Spa. I found my dermaplaning session from Jody to be deeply relaxing at NuGenesis (300 Richland West Circle – Waco, M-F 9:00-6:00). It was paired with a moisturizing mask, and while it didn’t take long, the results were richly gratifying and are lingering! 21. Be aware Magnolia Farm (Chip and Joanna’s farmhouse) is not near the Silos and located along a 70 mph highway. 22. Consider taking a Waco Tour, and your guide may just be the bachelor from episode 3 who got two islands in his kitchen! or the German Schmear house with that fabulous modern farmhouse kitchen! BONUS TRIVIA about WACO, TEXAS you never knew you wanted to know! Famous types tied to vicinity of Waco beyond Chip and Joanna? Dorie Miller (navy war hero portrayed by Cuba Gooding Jr. in Pearl Harbor) , Heloise (of Hints from Heloise), Terrence Malick (director of The Thin Red Line), Willie Nelson, Thomas Harris (author of the Silence of the Lambs; went to Baylor), Peri Gilpin (actress from Frasier), David Crowder Band, Jessica Simpson and Ashlee Simpson, and Jennifer Love Hewitt. PIN ME! MAGNOLIA Market: Best Tips to Know Before You Go! HOPE YOU HAVE A WONDERFUL VISIT TO MAGNOLIA MARKET AT THE SILOS! Thanks for the tour Michele! I feel like I’ve been there! What a phenomenon Chip and Joanna have become. That was a nice post. 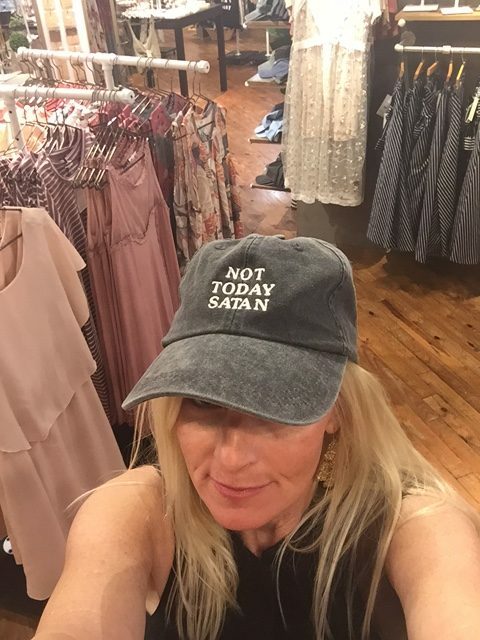 Although I have no desire to go there, my friend went and said her tip was to go during the five months of no/low humidity because the Silos shop was not air conditioned and in the 100 degree heat it was difficult to shop. I see Jo’s new cookbook has recipes from the restaurant. That’s an excellent tip, Colleen. Since I had never been to Texas, I was surprised by the humidity even in late winter – thanks so much for reading, and I hope you are well! Wow, I think you covered everything! I do want to make it there someday…..pinning this until then. Wow. Michele you really out-did yourself with this post. I literally felt like I was there. My first reaction is that it seems like a Disneyland experience for the DIY/Home Decor crowd. You definitely have to endure the massive crowds, don’t you? How fascinating that you can see the Chip and Joanna’s home from the road too. The way they film it I assumed it was in the middle of rural land….miles from being seen by outsiders. I’ve never been to Texas so it was fun to browse your photos and read your thoughts. It sounds like you’re on vacation. Also, thank you for your comment on my blog post. I do admire how you begin each day. I am still working on that, half of my mornings I manage to start with a prayer/meditation time the other half I’m off and running. For me, being aware of my inner voice first thing in the morning is a good way to draw myself back to me and the present moment… A kind of mindfulness act I guess. Thank you for this post Michelle!! I even forwarded it on to a couple friends who have Waco Tx on their bucket lists. Appreciate you. We just went to Magnolia in March. It was three firsts for me as well. Visiting TX, Waco, and Magnolia. I wish I had these tips before, but we still had a great time. We went on a week day and the crowds weren’t bad. When we first drove past it the line at the bakery was wrapped around the corner. By the time we parked, two blocks away and walked there we were just at the end of the sidewalk. It moved very fast and we had our goodies in no time. 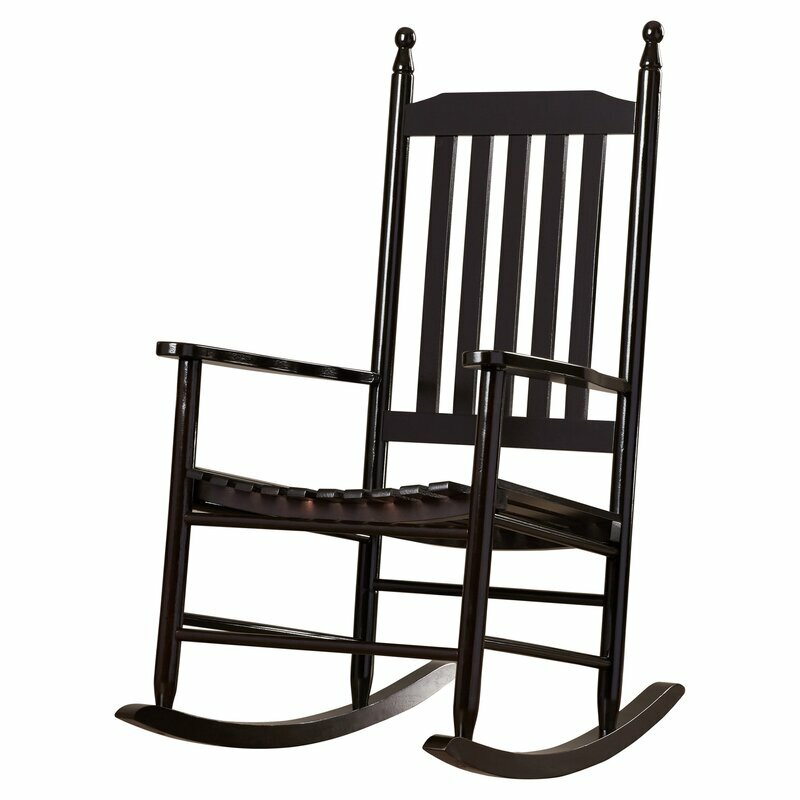 I bought items in the garden store and the market store. Didn’t have to wait long. I paid in the lower section. 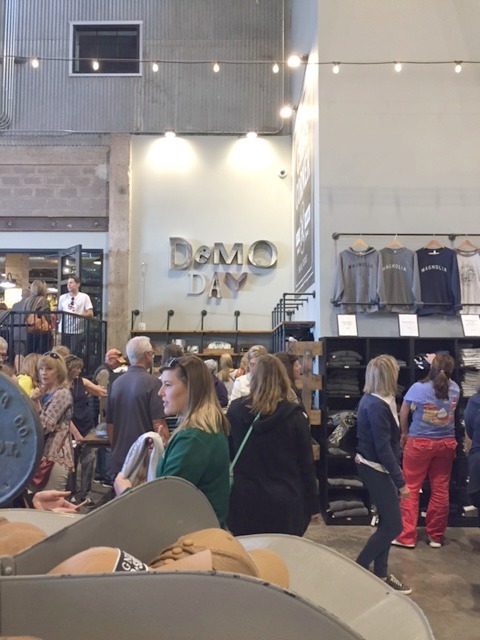 The upper part of the store the line was much larger. We visited a couple antique shops and I found some treasures. Ended up eating from the food trucks and didn’t go to the restaurant. That was on our list, and I wish we had. It sounds like you had a great time! Thanks for sharing with SYC. Hi Michele, I know you posted this some time ago but I just discovered it today from the link on your current post. 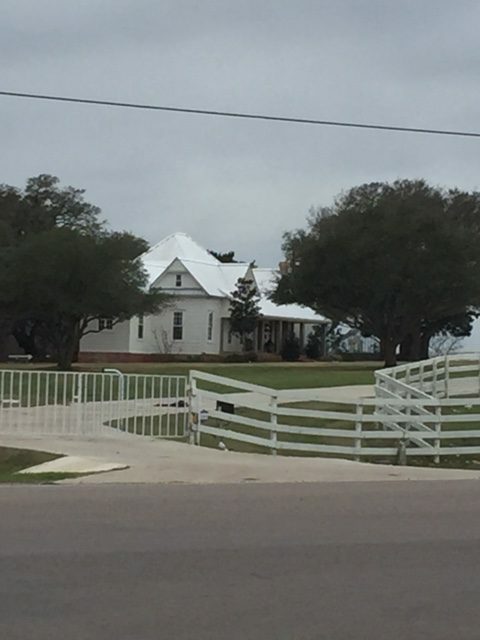 As a fixer-upper gal myself I’m a big Chip and Joanna fan and have designs on visiting Waco one day too, if only I could talk my husband into it. He used to go there on business years ago, before the Gaines put it on the map, and said it’s the pits. Oh well, I may just have to make it a girlfriend trip. Besides, with all the Magnolia stuff and BBQ restaurants alone, one need do nothing more in Waco than that and call it good. If, no, WHEN, I go I will certainly use your very comprehensive guide as my bible. Thank you! You’re such an amazing renovator, Celia–I bow to you! We’re in the middle of another blizzard, and I would like to move to Cali and become your apprentice, please! Waco DOES have its shadow sides just like most cities! It definitely lacks romance and better suited for a girl trip! Thanks so much for visiting me – it’s a thrill to hear from you!